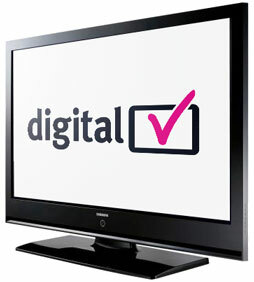 This week sees a momentous step in the march to an all-digital world, with the final switch off of the analogue TV signal in the UK. Retro lovers are already mourning the end of Ceefax’s blocky graphics and the need to replace portable TV aerials with coat hangers when they went walkabout. However for me the fact that everyone now has access to a huge array of digital TV channels is more interesting in what it does to society. In a pre-satellite/cable era there were a very limited number of channels (three when I was a boy, rising to the dizzy heights of five with the launch of the imaginatively named Channel 5). Essentially this means that when you went into work, school or the pub the next day there was a good chance that you’d have watched the same programmes as your mates/colleagues the night before. So you had a plentiful source of conversation, aside from the weather and football, to bind you together into a community. ‘Must watch TV’ was exactly that, otherwise you’d be left out of the water cooler banter. Nowadays this simply doesn’t happen. We’ve all got potentially hundreds of TV channels to be watching – and that’s before you add in catchup services, YouTube, cable and satellite. So the chances of bonding with someone due to a shared experience of watching an obscure German documentary on BBC2 are incredibly slight – in fact nowadays you probably didn’t even know it was on. However after tearing us apart, technology is now providing the ability to bring us back together. We still have ‘must see’ TV but now we’re discussing it in real time through social media on our iPads while we watch. Disagree with the judges on Strictly or bemused by the choice of topics covered on Have I Got News for You, then you can comment as it happens. In many cases the Twitter commentary is better than the programme itself. This is great, as far as it goes, but it is an instant reaction as things happen. And as behavioural economics show, it is likely to help us form our opinions before we’ve actually had chance to think them through independently. Which can’t be good if we go into work the next day parroting other people’s thoughts. And in case people think this is trivial, just replace Strictly Come Dancing with a Prime Ministerial Election Debate and see what I mean. So what we need is a way of mixing the instant and the reasoned, otherwise we’ll make snap judgements with potentially calamitous results (and I don’t mean voting for the wrong person on The X Factor). Time to encourage more longer term, analogue thinking rather than instant digital responses.